Abe's Shuttle service area includes Blairsville, Georgia, Hiawassee, Georgia, Young, Harris Georgia, Blue Ridge Georgia, and several towns in North Carolina including Hayesville and Murphy. We offer shuttles from the North Georgia Mountains to all area airports including Atlanta, Chattanooga, and Asheville. 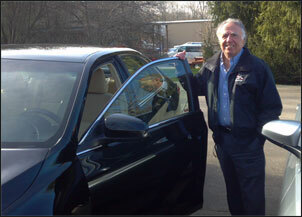 Abe's shuttle drivers are well trained and courteous professionals, providing dependable service to all clients. 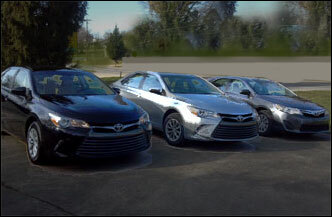 One of our four new Toyota Camry's are utilized for most of our trips. We also have an Avalon and Sienna (van) available upon request. We offer shuttles to out-of-town doctor and medical appointments including Atlanta, Gainesville, and Chattanooga. SIt back, relax, and leave the driving to us! See notes from our clients -- new testimonials about our shuttle services. We offer shuttle services to airports and out-of-town doctor's offices and hospitals. With 75% of our business coming from repeat customers and referrals, our reputation for dependable service is our hallmark. We are also known for our reasonable prices, courteous service, and professional drivers. 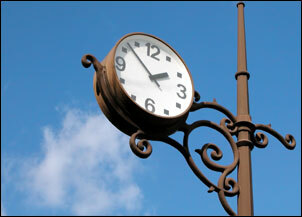 We are a door-to-door service and are available 24 hours a day, 7 days a week. If you need more information, please give me a call. We are available to take you from your front door to the airline terminal! No waiting at the airport when you need to be picked up. We are also available to take you to out-of-town doctor appointments in Atlanta, Gainesville, and Chattanooga. Abe's Airport Shuttle Service is a proud member of the Blairsville - Union County Chamber of Commerce. Serving Blairsville, Hiawassee, Blue Ridge, the North Georgia area, Hayesville, and Murphy, North Carolina. Call or email for more information.